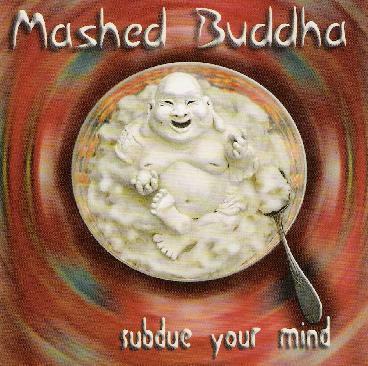 Mashed Budda - "Subdue Your Mind"
Mashed Buddha is the project of keyboard player John Currier, who lives in Massachusetts. John is a trained Jazz musician but this is not jazz. I am not sure what it is actually but some of it is very cool and fun to listen to. John describes the music as "an organic blend of electronic funk, drum 'n' bass, jungle, vocals and synth wizardry". I highly recommend that you check out John's web site and you can hear some of these samples yourself and also other things like music for games that he has produced. Maybe I am not in the right frame of mind to review this but it is such a cool eclectic mix of stuff that teases your cortex in some way that I can't really describe it. Buy it please. For more information you can visit the Mashed Buddha web site at: http://www.mashedbuddha.com.